The Arabian horse is the oldest and purest of all the horse breeds in the world and originates from the Arabian Peninsula. This unique breed of horse has a distinct and feminine shaped head which dishes before the nose and hold its head and tail high and proud. The Arabian horse is most commonly grey, chestnut and bay. Traditionally they were never bred in black as the hot desert sun would cause the animal to overheat. However black is now becoming more popular however they are still rare. There is archaeological evidence that the Arabian horse dates back to over 4,500 years in the past. 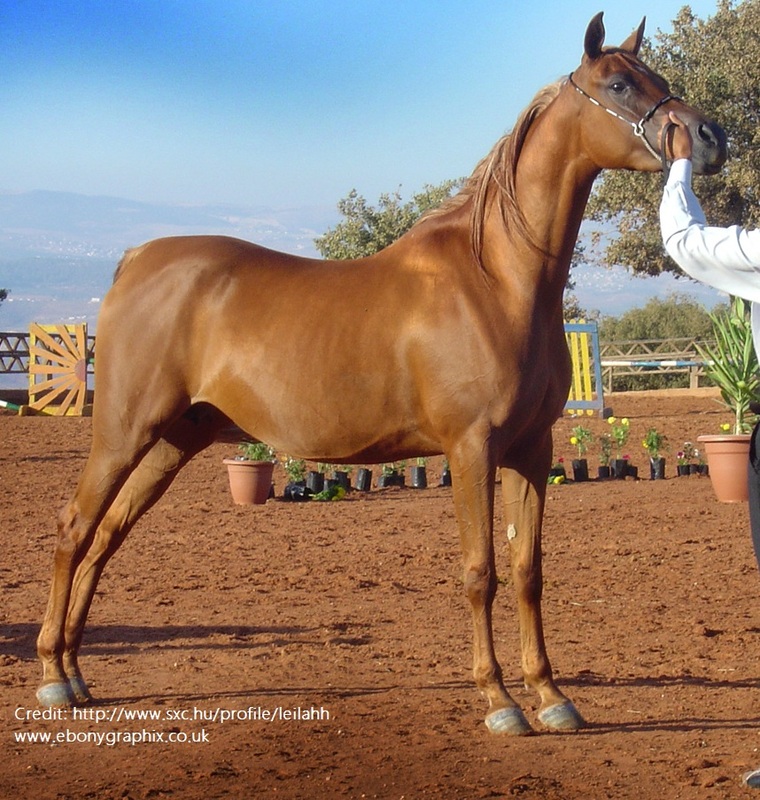 The Arabian horse's popularity has spread worldwide, and it has been used to improve many of the other breeds of horses by adding speed, endurance, refinement and endurance qualities which the Arabian horse is well known for. The Arabian was originally bred and highly prized by the nomadic Bedouin people living in the deserts of the Arabian Peninsula for the purpose of war and raiding other villages. It was said that having the Arabian horse inside your tent would bring you good luck and no harm will come of you or your family inside the tent at night. The Arabian horse is an animal of kind regard to humans, with a close relationship with their owner, promoting a natural good nature and willingness to learn, and please its owner, however it is often found that the Arabian horse also has a high spirit and alertness which was often an asset to the Bedouin poeple. In modern times the Arabian horse is often used for endurance, cross country and most other equestrian sports including and racing - simply for their natural abilities and nature for which they are suited.